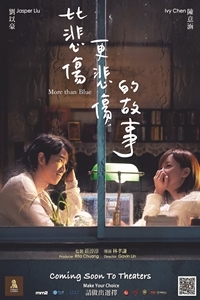 Cream, a bright personality with a dark streaksomehow manages to make a connection with thesecretive K. As high school classmates, they sharetheir loneliness, get close quickly, and fill theemptiness in each other. Cream moves into K'splace and they depend on each other like a familyor lovers. Years go by, and K works for a recordcompany and Cream becomes a lyricist, but theystill live together, neither a couple nor friends.Diagnosed with leukemia, K is hesitant to revealhis illness because he does not want to hurt Creamby leaving her alone. Not knowing any of this,Cream starts dating another man, eventuallyaccepting his marriage proposal.